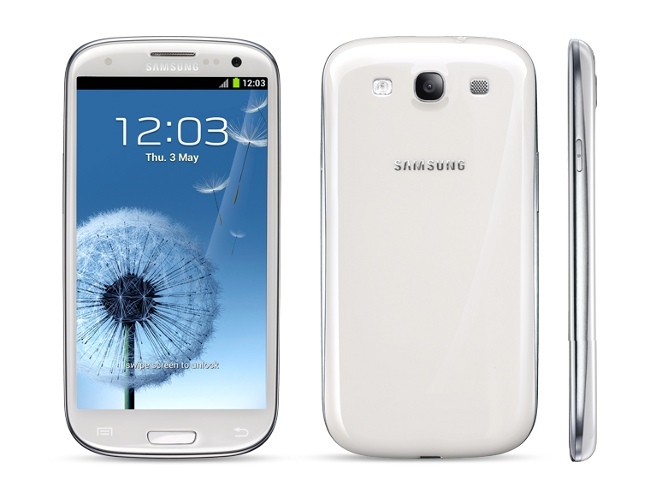 In May, 2012 the Korean company Samsung released the flagman Samsung Galaxy S III smartphone on the Android operating system. In November, 2011 the communicator became one of the most anticipated devices such. New phone is a monoblock without keyboard which height is equal 136,6 millimeters, width — 70,6 millimeters, and width — 8,6 millimeters. The weight of the device makes 133 grams. On the top party of the device there is a 3,5-millimetric socket for connection of a font, and on the lower the MicroUSB socket intended for connection of the charger and date cable by means of which it is possible to realize synchronization of a communicator with the computer is located. 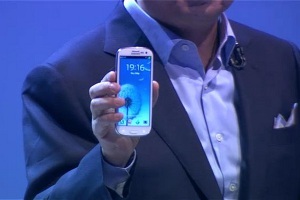 The Samsung Galaxy S III smartphone got the quad-core Exynos Quad processor with a clock frequency of 1,4 GHz. 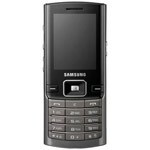 The communicator is delivered in three options differing on the volume of the built-in memory: 16, 32 and 64 Gb. Also there is a possibility of connection of the microSD cards. The volume of random access memory makes 1 Gb. The device is delivered together with lithium - the polymeric accumulator which capacity 2100 mach that ensures autonomous functioning of phone in a waiting mode for 900 hours, and in a talk mode till 1300 minutes. 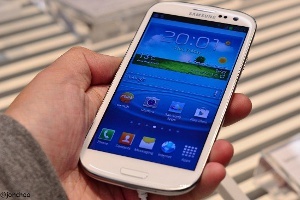 As for the display, Samsung Galaxy S III is equipped with the capacitor touch screen, which diagonal of 4,8 inches. The display is capable to display to 16,7 million various shades. Besides, on the screen the special protective tempered Gorilla Glass 2 glass is established. The display has permission of 1280х720 points, and density of placement of pixels makes 306 dots per inch. The 8-megapixel chamber with automatic focusing and LED flash is equipped with functions of a face recognition and smile. Also with its help it is possible to shoot video with a frequency of 30 frames per second in the FullHD format. Also on the smartphone the frontal camera with a matrix in 1,9 megapixels and an auto focus is installed. Separately It is necessary to tell about functions which are available on the smartphone thanks to the Android 4 operating system. The special attention is deserved by the Smart Stay technology which automatically reduces display brightness while the user does not look at it. The principle of work of such function is based on tracking an eye thanks to the special sensor located near a frontal chamber. Existence of such function promotes considerable decrease in energy consumption of the device. Also by means of the Smart Alert technology phone gives a vibrosignal in case of existence at least of one missed call at a communicator capture to a hand. Besides, developers included in the new smartphone function of so-called social tags which is intended for comparison of people in the pictures made a device chamber with their photos from the list of contacts to share new pictures with friends. One more interesting function is Direct Call which allows to carry out a call by means of a smartphone present to an ear during viewing of the list of contacts or writing of the message. 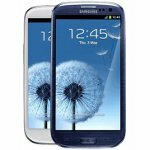 The S Beam technology allows to carry out file exchange with other communicators of Samsung Galaxy S III by contact of two devices. As for the price of this device, it reaches 730 dollars, however technical characteristics and functionality justify it. From shortcomings it is possible to call only lack of the slot for the second SIM card. Among the competing smartphones It should be noted Apple iPhone 5 and HTC One X which are also novelties of this year. 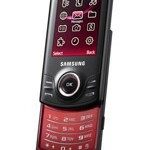 S5200 Mobile phone The Samsung S5200 mobile phone which succeeded the U600 model in everything surpasses the predecessor. GM200 Mobile phone In search of an extreme sound? 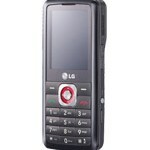 LG GM200 phone — the excellent decision! D780 Duos Mobile phone D780 supports simultaneous operation of two SIM cards. Your opportunities doubled. Use one SIM card for business calls, and another - for personal.